Yesterday we had a storm blow through that mostly saturated us with drizzle. No pounding rain, but enough precipitation to wet the ground and freshen the foliage. It had to be gone by today, of course, being New Years Eve, so that the skies would appear blue and sunny for everyone watching the Rose Parade. Look for our La Canada float if you are tuned into the coverage – it features a wizard and a large green origami dragon. 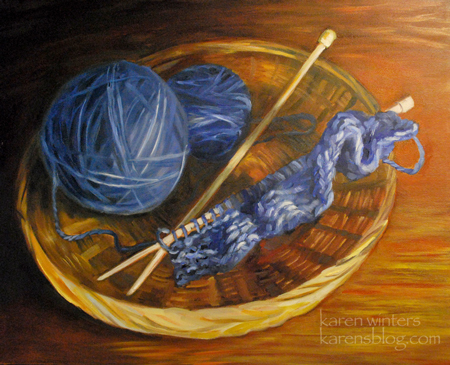 If you have a question or or would like to find out if a painting is still available for sale….. This small oil painting is a memory of our recent trip up into the eastern Sierra. Looking westward one sees the mighty Sierra Nevada range. Looking eastward (this view) is the Owens Valley, a high desert area where cattle and sheep grazing is common. 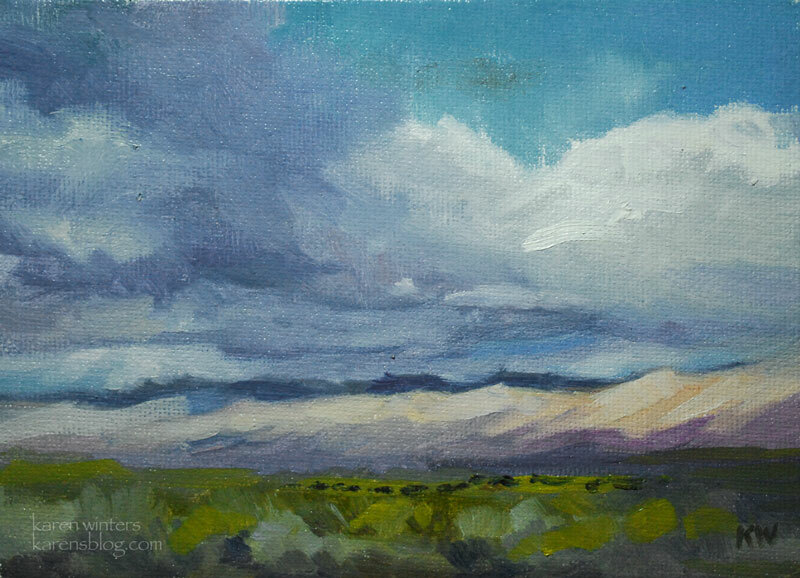 I love the serene look of these wide open spaces, especially when storm clouds billow in the late afternoon light. This will be a study for a larger painting yet to come. I hope that everyone had a great holiday with family and friends. We certainly did – it was wonderful seeing our children for such an extended period of time – always a treat to look forward to. We played games, feasted, toasted and enjoyed time together. One of my favorite gifts was to my husband and me from our kids – a getaway to a snowy place where we can take pictures, paint and enjoy the beauty of winter. We’re thinking maybe a return to Yosemite or perhaps the Sequoia area. Any good suggestions for accessible California places with cozy cabins and snowy scenes? We don’t ski anymore so that’s not a priority. 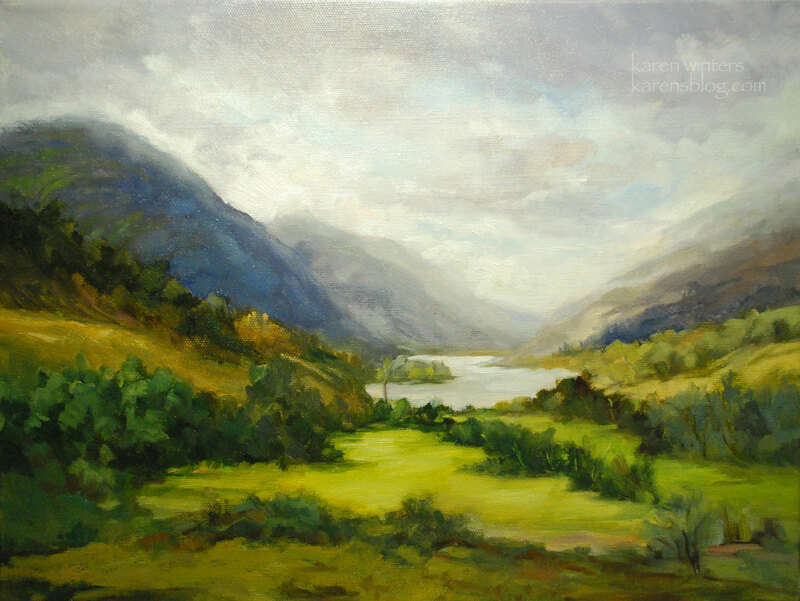 This painting, painted as a commission, depicts a historic site in the highlands of Scotland in the village of Glenfinnan. It is the site where bonnie Prince Charlie raised his standard at the beginning of the Jacobite rising in 1745. Glenfinnan sits at the north end of Loch Shiel. A monument (a pillar) can be seen at the lakeside at the closest point. My forbears came from the western isle of Skye, but some of the MacDonalds who were landowners on Skye were also allies of Prince Charles. 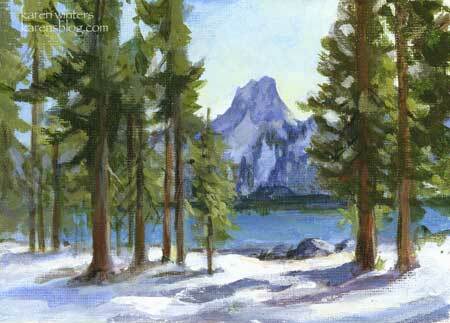 The first snow at Mammoth Lakes, California, dusted the Crystal Crag formation overlooking Lake Mary. More storms would follow creating tall drifts contrasting vividly with the blue of the water. This seemed to be a good subject for a winter scene, although the time was truly in late fall. The late afternoon sun gave a slightly warm glow to the white snow. In nature, white is rarely, if ever, pure white. It is always picking up color from the environment, including the warm light of the sun, or cool skylight in shade. Two of my favorite subjects – vineyards and eucalyptus trees – symbols of California’s rich beauty. 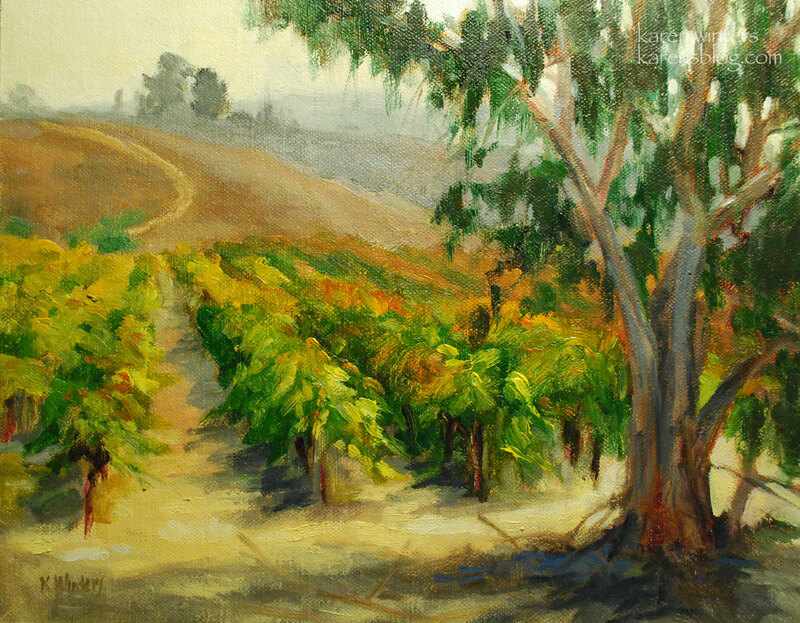 This painting was done in November at the Falkner Winery in Temecula, but I am just now getting around to photographing and posting it. 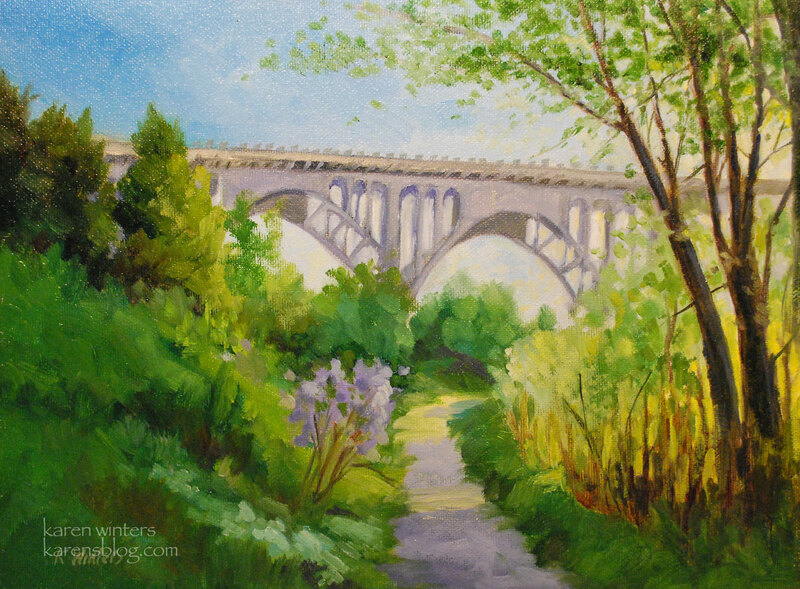 I like to paint new things, as a rule, because it’s fun to interpret new subject matter and challenge myself – but from time to time I get a request from a client to paint a new version of a previous painting. 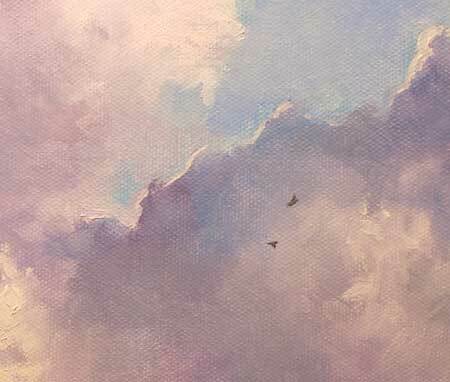 In this case, a gentleman saw the painting I used on my postcard of my solo show this spring (sold during the show) and asked it I would paint another version for his daughter as a Christmas present. The family used to live in Pasadena and had fond memories of the Arroyo Seco and their walks together. I was happy to do this for him. Of course, no two paintings are ever exact copies, due to different shapes of the canvas as well as differences in creative interpretation. He was delighted with this treatment and I hope that his daughter will be, too. Saturday I had a great time with the California Art Club during a paint out at Randy Higbee’s gallery in Costa Mesa. We were painting models dressed as gods and goddesses from Wagner’s Ring Cycle. We’re finally getting rain in Southern California – a welcome change from the excessive drought of this past year. I hope that it is sufficient to sink down deep and nourish the parched root systems of all of our plants. They could use a good long drink. I’m optimistic that it will bring rushing water to our local canyons and snow to the mountains, for purely painterly reasons. Landslides we can do without and I suppose in keeping with the old adage that you have to break eggs to make an omelette, you have to suffer the consequences of rain to benefit from the bounty. 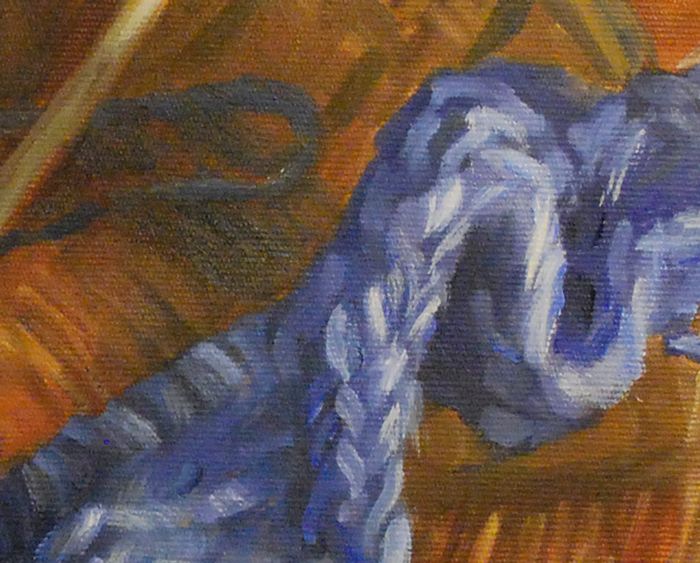 Now it’s time for me to get back to the easel, finish up my Christmas commissions and get busy on some new work. This past weekend was enjoyable in every way. Every night I had a different reception to go to where my work and the work of fellow artists was being shown. Friday night provided a good turnout at Carter Sexton Gallery on Laurel Canyon Blvd. near Magnolia. The paintings will hang until the beginning of January. Saturday night took us to the Segil Gallery in Monrovia, where I was thrilled to see that my Arroyo Reflections painting sold during the reception. Sunday night was a treat in every way at the California Art Club show at the Women’s City Club of Pasadena. Seeing old friends and making new ones is always delightful and among the reasons that I love being in that show. 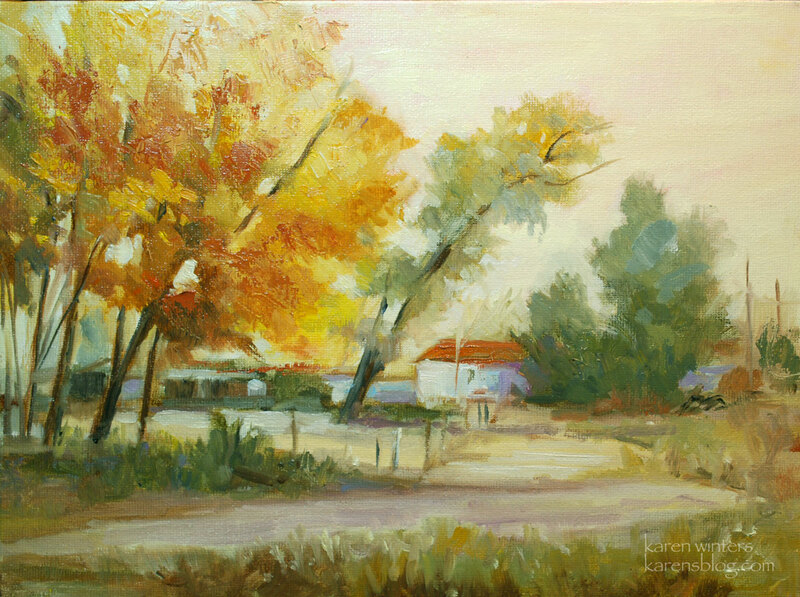 Next week, I will be exhibiting a collection of paintings with the Pasadena Society of Artists at the Artists Choice Exhibition (ACE) in Silver Lake. [Citibank Art Space 2450 Glendale Blvd. (Northeast corner of Glendale Blvd and Silverlake Blvd.) There will be salons associated with the event where you can meet the artists – date TBA – and the closing reception will be Saturday, January 16, 2010 – 6pm to 8 pm. I will also be showing and selling new work at a mini Descanso Gardens show December 19-20 (Sat-Sun) from 9 am to 4 pm, in the Birch Room, close to the entrance of the gardens. 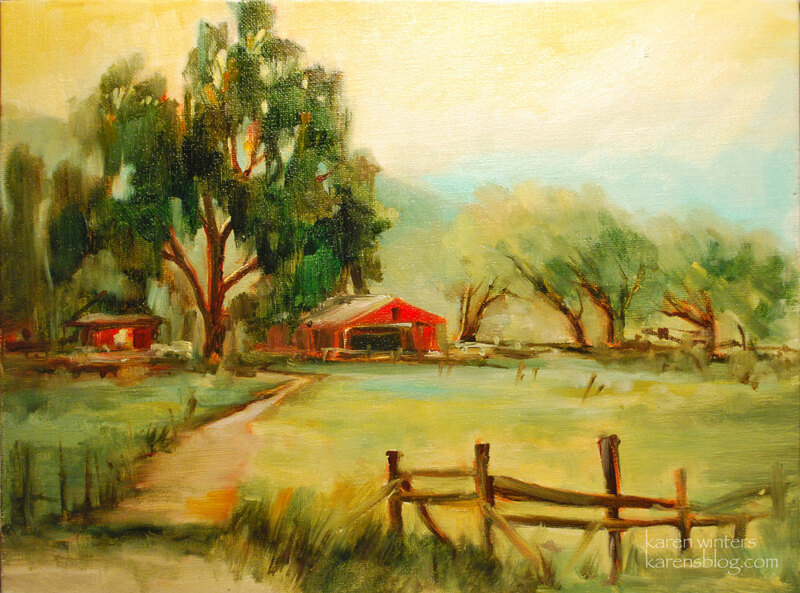 The barn is on a ranch near Visalia, California, a Sierra foothill area known for cattle ranching as well as fruit orchards. I have a busy reception weekend coming up and I hope you can join me at one of three new shows where my work will be displayed. 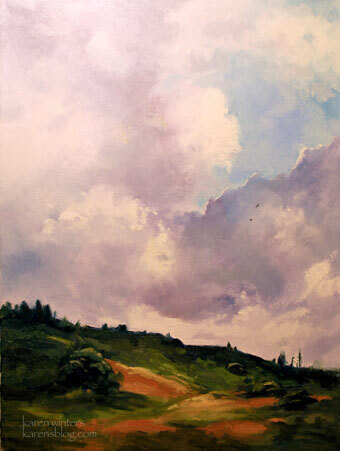 This is a group show featuring California landscapes. 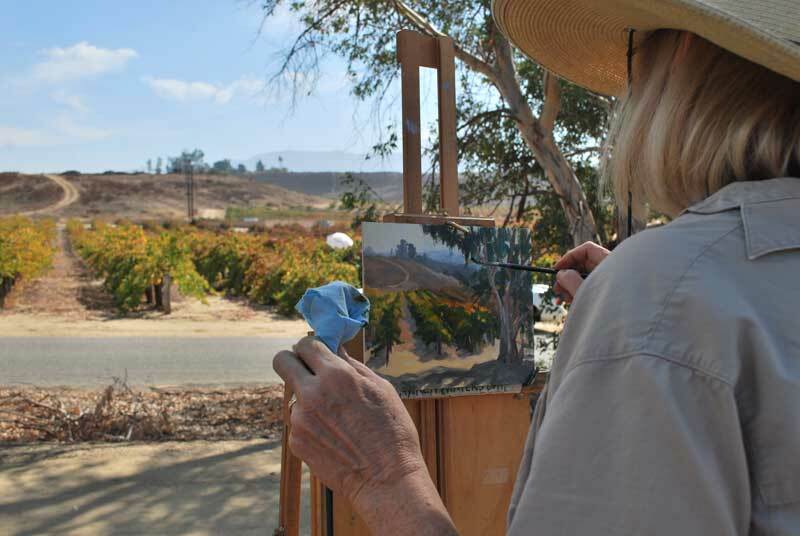 Oh, and Sunday from 11 – 1 I’ll be painting at the Langham Huntington Hotel in Pasadena on Oak Knoll Road (S. Lake turns into Oak Knoll) – if you’re in the area.